Since 1984, A P Sales & Services is successfully dealing in the comprehensive product range including Industrial Valves, Welding Electrodes,Welding Machines Centrifugal Pump Mechanical Seals, Gaskets, Expansion Joints Carbide Inserts, Protective Coatings, Sprays, Cnc tools, Inserts, holders, Drilling Parting Blades and Solar Powered Calculators. Based in Andhra Pradesh, the company is known as the major Manufacturer, Exporter, Importer, and Supplier in India. Our products are especially fabricated as per the various national as well as international quality standards. Moreover, we are a professionally organized, experienced, and dynamic force in valves market, catering to the diverse global industries. Our products are offered with all major approvals and certifications, timely delivery schedules, and proper documentations. Our motto is to make the clients concentrate on their business, while we take care of their fluid control problems, as we are the complete flow control solutions provider. 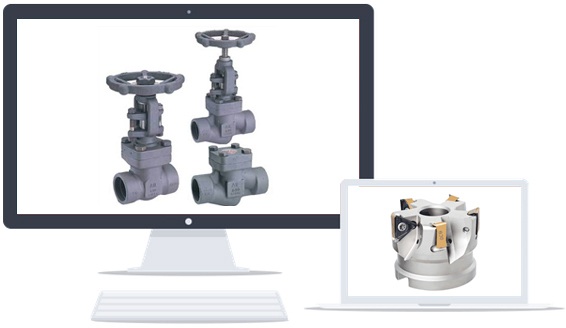 Recommending, selecting, and supplying cost effective perfect valves and accessories for every application at right time and right place comes are our major strengths. The company is backed by the high tech distribution unit, which is spread over a wide area. The unit is well equipped with the latest equipment and advanced machinery, for efficiently carrying out the distribution of the products. AP Sales and Services is known as the prime, Exporter, Importer, and Supplier of Welding Electrodes, Centrifugal Pump Mechanical Seals, Agitator Seals, Compressor Seals, Gaskets, Coating Products, and Sprays, CNC Turning, Milling, Drilling, Parting, Grooving Tools, Process Control Equipments, Industrial Valves, Carbide Inserts, Hager MCB, Flanges, Pipe Fittings, Strainers, Parting Blades and Solar Powered Calculators.